Lately I've been getting a lot of emails asking a few basic questions whose answers are buried in here somewhere so I thought it was time to add an FAQ. I'm posting it over in the handy contact tab above as well. If you really feeling curious, read all of the more detailed questions I've answered in the past. If I've missed anything, please let me know. Want to know something else? Just ask. I like the color you chose to paint (insert room name here) - what is it? Here are all of the paint colors I've used in my house by room. All paint is from Benjamin Moore. Please note that I've used Bone White Semi Gloss on most of the trim and China White flat on allf the ceilings. Do you have any advice on how to choose contractors? And how to manage a major renovation? I don't have any secret tips for how to choose contractors and manage a renovation - its all the things you'd expect to hear like check references and make sure you don't give too much cash upfront. Its important to choose wisely as these people can make your life miserable if you choose poorly - but you already knew that. I think the most important thing you can do is to learn about the various trades so you know the terminology and can speak intelligently to your contractors. Otherwise, they are much more likely to screw you. And there is a certain amount of luck involved as well. Sometimes you do everything right and it goes wrong anyway. Thankfully we did our research, put in a lot of time and we got lucky too. Why was your home in such bad shape when you bought it? Was it formerly a bad neighborhood? Our neighborhood was never bad. It was always a safe, middle class kind of area - a wonderful place to live. As with everyplace in NYC, the prices have gone up a lot in our lifetimes and there are lot more hipsters in the area then there once were. But while we are very close to a very trendy area, we actually live in a tiny quiet off shoot that is much less posh. The house was in terrible shape because the previous owner was obviously a little bit disturbed. He owned the house for decades and just let it fall apart over time. I'm planning my very first visit to Brooklyn - do you have any suggestions of where to sight-see/eat/shop? I get this question often enough that I put together a free downloadable 1 day tourist guide to Brooklyn. Its by no means exhaustive but it gives you plenty to chew on to spend a nice day here. I see you travel a lot. Have you been to (insert location here)? Where can I find your trip recaps? We've been to quite a few places in the past few years and I always post about it when I get back. You can read all of my trip recaps here. You do so much travelling to truly amazing, wonderful places. Is this business travel? Or do you and your husband just like to travel for fun? I use a Nikon D90 now. Up until about mid 2009, I used a Nikon D50. 90% of the photos you see on this blog are taken with the lens that came with the camera. For the D90 that is a 18-105mm f3.5-5.6 lens. Currently Im using a 18-200 3.5-5.6 lens. When I'm feeling particularly frisky I break out one of the three other lens I own. Those are a 50mm f/1.8D, a wide angle and a fish eye lens. Occasionally I'll even use Mr. Limestone's small point and shoot. I want to take better photos- what kind of camera should I buy? Forgive me a little bit of a rant here. The kind of camera you use will not necessarily translate into better results unless you know how to use it. Trust me, following a few basic rules of photography and how your camera works will make your photos better immediately and will cost you nothing. If you've already done all that and really want a camera with a few more bells and whistles - by all means, go ahead and get one. Now that you know how to use it, you'll have a great time with it! I use Nikons but I have no doubt Canons are just as good. Yes! All of my black and white shots are done in photoshop. Sometimes I like to add a little bit of this or that in my color photos as well. It would be magical if every image I took came out of the camera exactly as I imagined it but I'm not ashamed to tweak a little when needed. Not crazy about special effect type shots so I try to stay away from anything that looks too processed but I've walked on the wild side sometimes. Most of the photos you see of my house haven't been touched too much because I'm lazy. I spend far more time on my travel photos because I want those to really reflect the experiences I had. I like your (insert graphic project here). Can you give it to me for free? Can you tell me how to make it myself? Often I'll share free downloads for which I gladly give away to my readers (see them all here). However, I do not offer instruction on graphic design. Most of the projects I share on this blog are created for myself . If you would like to have me create a custom piece for you, do not hesitate to contact me. You can see more of my work at my graphic design site, Sonicstef Design. I originally started this blog to document the renovation of our Brooklyn home. I had no plans of sharing much personal detail or my name or face ever. You know what they say about the best laid plans? So after 2 years of blogging, I reveled my mug along with all other kinds of personal details about us. You can read that here. I started blogging so I could document the renovation process. I figured it would force me to be disciplined about writing it down. The plan was to make a little book out of those photos and posts and close up shop. I never expected to blog about anything else other than the renovation but as you can see, it didn't work out the way I had expected. I never did get around to doing that renovation photo album. Maybe one day soon? I like the font you've used in your blog header - what is it? The font is called Susie's Hand. Great advice on the camera. Get the basics down and then fancy it up with nice equipment if you're still not satisfied with the quality of the photos. thanks for sharing this! in the "us" section, your link has a parenthesis at the end of it. I am so excited here! I'm going to NYC in a couple weeks and we wanted to spend a day in Brooklyn...your guide is EXACTLY what I need! THANK YOU a million times over! Hi! Really enjoy your blog..thanks so much for sharing! The cabinets were painted at the manufacter so I don't think it's a color you'd find in the paint store. If I recall it was called 'buttercream' but unless you are ordering from the same company, don't think that is very helpful to you. I love Q and A posts. My question is if you have pictures of your other houses or apt you lived in and the decor or renovating done there. I do wonder what the difference is between a brownstone and a limestone. Naz: I answered you in the comments when you asked this in a prior post but here it is again. (if you include your email I can email you a response directly). Its kind of a long explanation but a brownstone can be a general type of house as well as a specific style. In NYC most people would consider my house a limestone b/c its has a limestone exeterior rather than a brownish stone exterior...but technically you could also call it a brownstone in the generic sense b/c that term refers to the style of that is old, made of brick, has a stone exterior,etc.  So in other words, its not technically incorrect to refer to my house as a brownstone but anyone local would call it a limestone. Clear as mud right? BUMMER.......those pics are private. Eeeep......I was SO curious too. Opps - I fixed that now. Oh, I love your old place too. Different look.....VERY cozy. Thanks Mrs. L.... your previous place is still stylin'. Just proves you are a very talent lady. Thanks for explaining, again, lol sorry I guess I missed it when you explained it the first time. Enjoyed all the pics of your first home. Always a pleasure to see whatever pics you post. Italy looked incrediably beautiful. I am a huuuuge fan of your site and your style. Would you mind sharing the name and contact of your contractor? That is, if you truly recommend the company without hesitation? My fiancee and I live in a decently sized studio in Manhattan and want to renovate extensively, including skim coat walls, refinished floors, new kitchen, bath, perhaps lighting and any additional design services. We have a smallish budget under $40K. If you or your readers have any suggestions as to whom to approach, please email me at aec563@yahoo.com. Thanks so much!